Antioch, IL - May 27, 2015 - The outstanding Chicago Hunter Derby presented by Canadian Pacific, was inducted into the National Show Hunter Hall of Fame, honored as the Best Hunter Derby of 2014, at the awards dinner in Devon, PA on Tuesday, May 26, 2015. 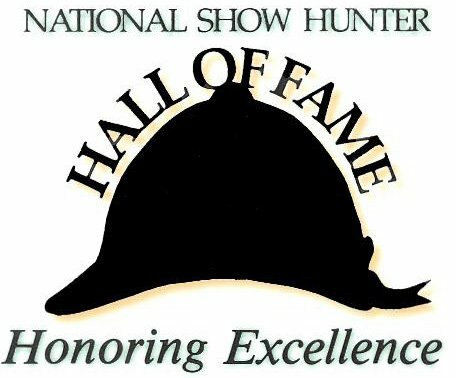 The National Show Hunter Hall of Fame honors excellence in the sport by providing recognition, education and appreciation for the achievements of the horsemen and horses who have made the sport of show hunters so rich in history. The Chicago Hunter Derby is a stand-alone event, featuring the $50,000 USHJA International Hunter Derby, the $5,000 USHJA National Hunter Derby and two Welcome Stake classes to kick off the weekend. The event is organized by Chicago Equestrians for a Cause, a group of dedicated horsewomen, whose mission is to showcase high-level equestrian events with the express purpose of raising funds for selected charitable institutions in the Chicago area. The 2014 Chicago Hunter Derby raised approximately $150,000 for three charities; Ann & Robert H. Lurie Children's Hospital of Chicago, the United States Hunter Jumper Association Foundation and the University of Chicago Cancer Research Foundation. Chicago Equestrians for Cause board members Caroline and Rush Weeden and Host Committee Chairperson Margaret Benjamin were on hand for the presentation. Sterling Berry, Lynn Jayne, Michelle Durpetti, Cassandra Lawton and Kimberly Penfold are also valuable members of the organization, donating countless hours to the event's success. "I couldn't be more thrilled about this honor for our Chicago Hunter Derby!" said Benjamin. "So many people have worked very hard over the last six years to build our event to its current spectacular level. To watch it grow to be a preeminent charity and equestrian event is so very rewarding to all of us. Both of these initiatives have accomplished our wish, to involve a large philanthropic community and both local and national equestrian athletes." A view of the gorgeous field at Annali-Brookwood Farm. Photo Chicago Equestrian. The Chicago Hunter Derby is entering it's seventh year and is proud to have Canadian Pacific sponsor the $50,000 USHJA International Hunter Derby again in 2015. Keith Creel, President and Chief Operating Officer of Canadian Pacific commented, "On behalf of the CP family, I congratulate The Chicago Hunter Derby for being recognized as the Best Hunter Derby in the country. The charitable work they do in our community is simply world class, changing lives in a positive way daily. We are honored to be partnered with them." 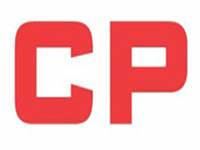 In addition to The Chicago Hunter Derby, Canadian Pacific is the title sponsor of the National Horse Show, which was also inducted into the National Show Hunter Hall of Fame as the Best Horse Show of 2014. Caroline and Rush Weeden were among the original group who started the idea of the hunter derbies at the suggestion of George H. Morris during a dinner after his Chicago clinic back in 2005. In 2006, the Weedens backed some of the first hunter derby demonstrations and in 2008, opened up their beautiful property to exhibitors and spectators for the unique Chicago Hunter Derby. The derby takes place on a gorgeous field that course designer Bobby Murphy turns into a show hunter's paradise. George H. Morris has been to the derby both as a judge and course designer. "We are grateful to the National Show Hunter Hall of Fame and honored to be included with the previous winners, most notably, the Wrenwood Derby, Naples, FL, that was hosted by Jenny Sutton. Wrenwood set the bar high for special event derbies," said Caroline Weeden. 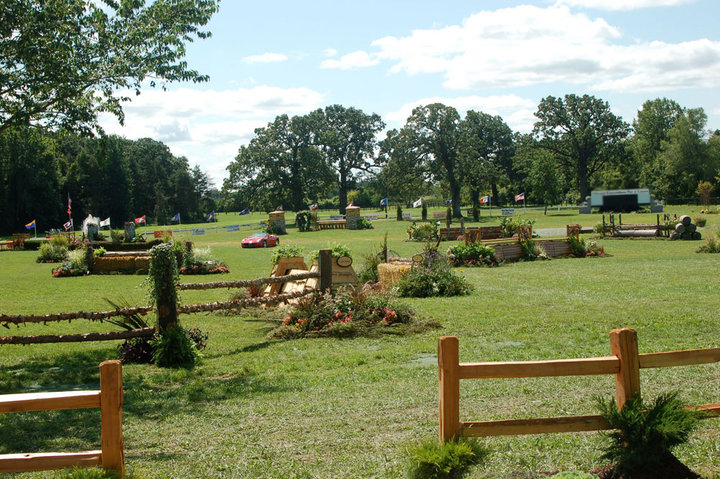 The Chicago Hunter Derby is scheduled for September 4-6, 2015 at Annali-Brookwood Farm in Antioch, IL. The event will again offer a Champagne Brunch with VIP seating during the $50,000 USHJA International Hunter Derby presented by Canadian Pacific along with a Calcutta, raffle items, a silent auction, shopping, children's activities, the Score 90 Challenge and other activities to raise funds for charity. For more information on the award winning event, please visit their website at www.chicagoequestriansforacause.com. The Chicago Hunter Derby Features the $50,000 USHJA International Hunter Derby and the $5,000 USHJA National Hunter Derby. Opening day events include, the International Hunter Derby Welcome Stake and the National Hunter Derby Welcome Stake.